Imagine that you have been invited to lead an organisation to the next stage of its development. “We have many good people in our work place. But how do we deal with those who do not behave in the required way? Great teams implement the right strategy with the right people in the right way. 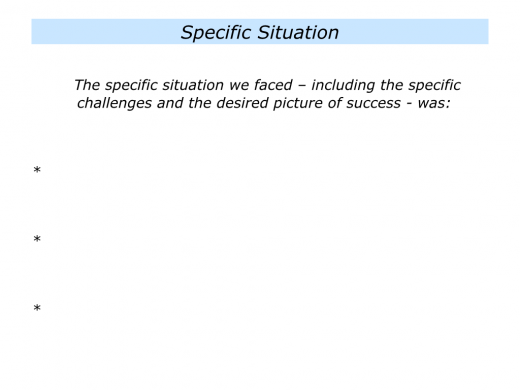 Let’s assume that you have a clear strategy for achieving the team’s picture of success. The next step will be to get the right people. Bearing in mind the professional standards required, you may take the blank piece of paper approach. This involves exploring the following route. “Imagine that everybody left tomorrow and offered their services back to the organisation. This question will probably highlight three things. a) The people you would definitely rehire; b) The people you might rehire; c) The people you would not rehire. You can then focus on getting the right people in the team. “That sounds simple, but it isn’t easy,” somebody may say. 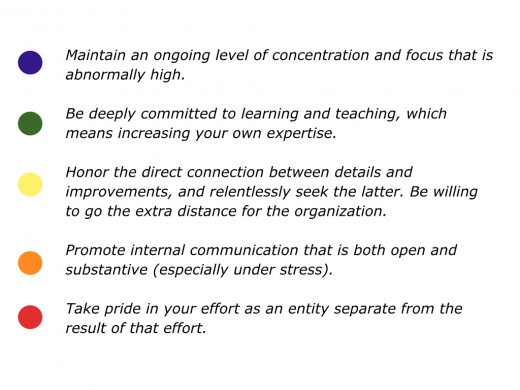 Let’s start by considering one of the key steps taken by people who build successful teams. Great teams communicate a compelling story, strategy and road to success. They also put enormous effort into recruitment. They build a queue of people who want to work in the team. This is the approach I took, for example, when running a therapeutic community for troubled teenagers. One way to ensure the youngsters behaved responsibly was to have a queue of applicants waiting to fill their places. If a person broke the rules, they would be choosing to go back to where they came from, such as an institution for offenders. They therefore chose to behave responsibly and keep their place in the community. Every successful team I have known has built a queue of potential team members. They have also made it hard to get into the team. This approach works. Let’s assume, however, that you are taking over a team. Whilst you will put lots of work into getting the right people, you will also need to set the scene for the existing team members. This calls for taking the following step. Sometimes this can be challenging, particularly if you are taking over a demoralised team. The people may not have been shown the professional standards that are required to deliver the picture of success. You will therefore have a moral obligation to explain these standards. People can then decide if they want to opt into delivering these for the team. Before you do this, however, it can be useful to prepare the ground by taking the following steps. Good leaders are like good parents. 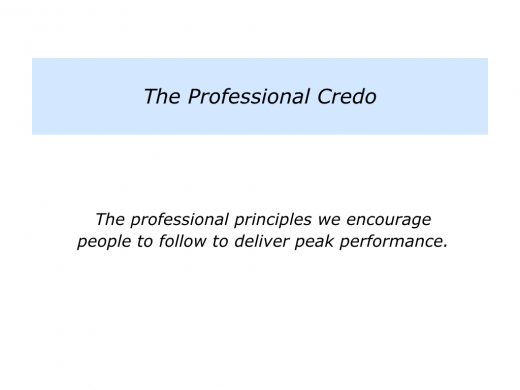 They are positive, predictable and create an environment in which people can achieve peak performance. 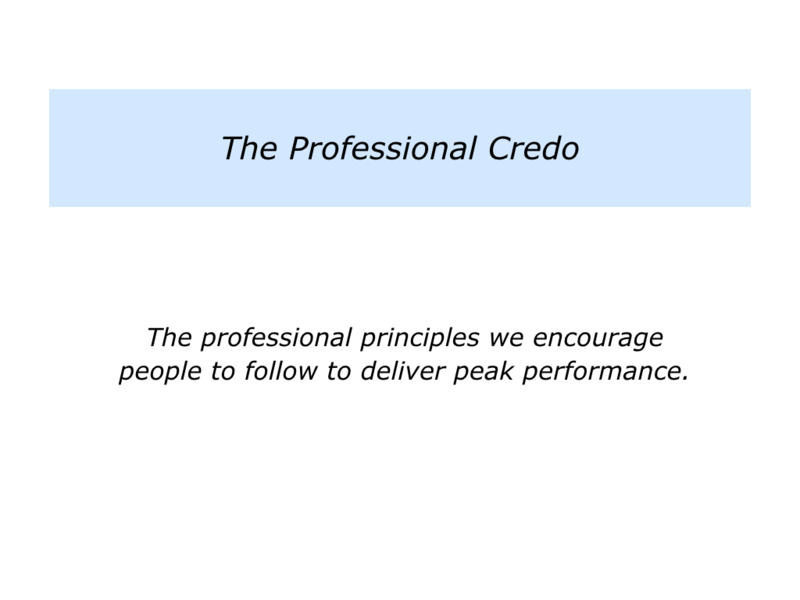 Bearing this in mind, it will be important to involve the key managers in building the professional credo. Why? They should be acting as positive models for their people during the day-to-day work. Bearing these things in mind, you can work with the managers. 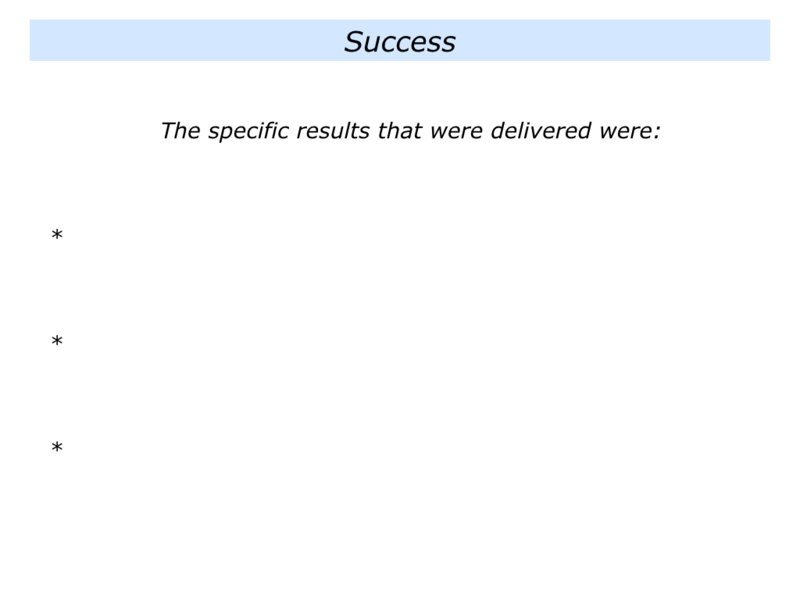 To clarify the picture of success. To clarify the professional standards – the spirit and skills – people will need to demonstrate to ensure the team achieves the picture of success. 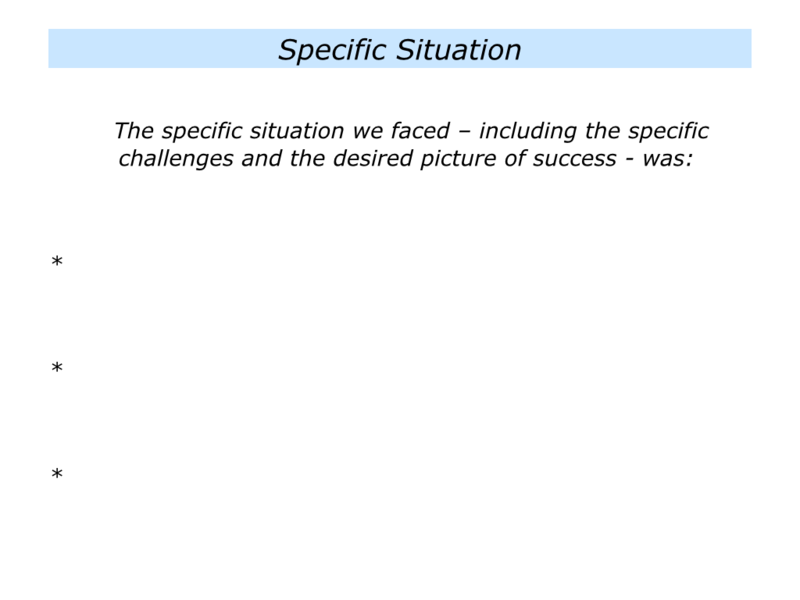 To clarify why it is important for people to demonstrate these standards if they are to achieve the picture of success. The managers in a team, for example, have a moral responsibility to explain why it is important for people to behave in these ways. Some organisations go overboard when describing the required standards. This can result in producing huge instruction manuals that the managers then supervise. Sometimes this is necessary, such as when flying a plane. 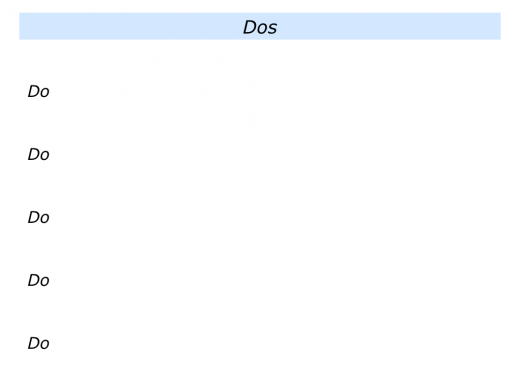 But it can also be effective to produce simple guidelines that people can follow in their daily work. How to make this happen? 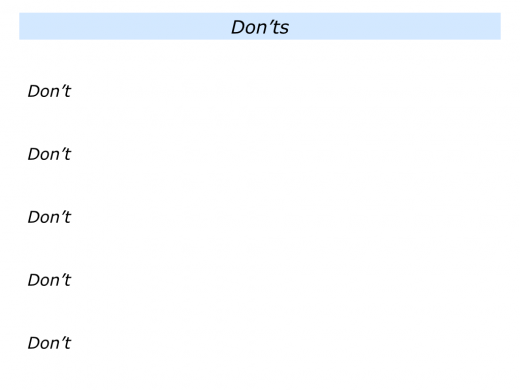 One approach is to compile a list of Dos and Don’ts that people can bear in mind to achieve the goals. 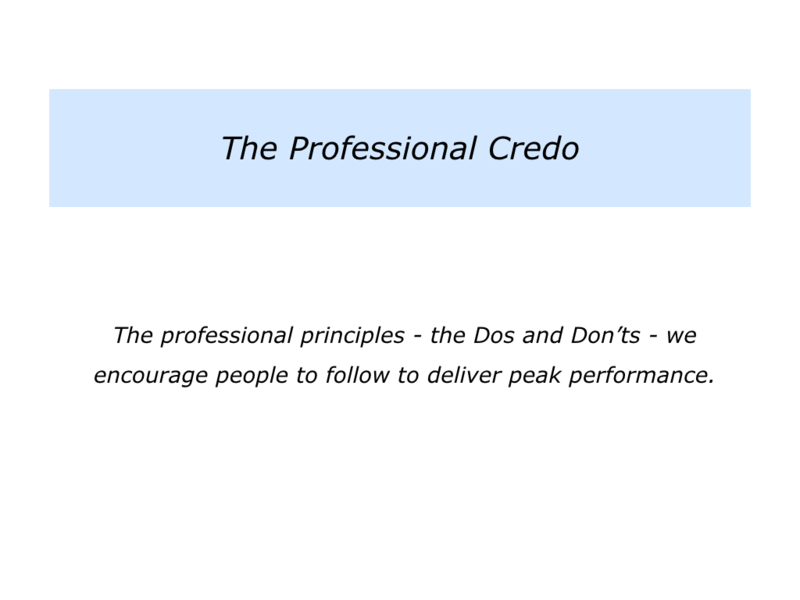 Here is an example of a Professional Credo that was put together by one organisation with whom I worked. Potential employees were given examples of how this worked in practise. They were then invited to decide if they wanted to join the organisation. You will, of course, create your own kind of credo. Before launching it, however, it can be useful to take the next step. There are several things you can do to prepare the ground. Here are some steps that it may be useful to consider. To show people they are already following some of the successful principles. To show people what good looks like. To show people how they can follow these principles in the future. Show people that they are already doing some things well. They can do even more of these things in the future. One approach is to share the work of writers in the field. You can, for example, send people articles about David Maister’s work on professionalism. 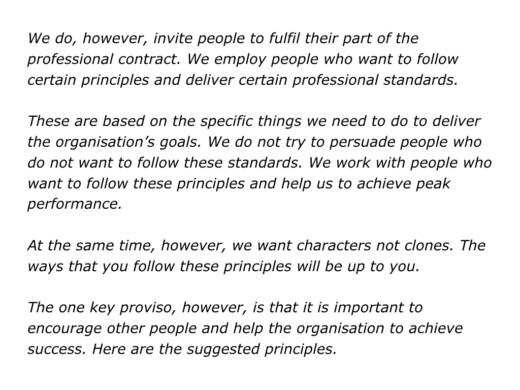 This will underline the principles you want people to follow in the organisation. David, who retired in 2010, was acknowledged as one of the best business thinkers in the world. His approach went far beyond the intellectual language normally used in such fields. It involved both the heart and the head. 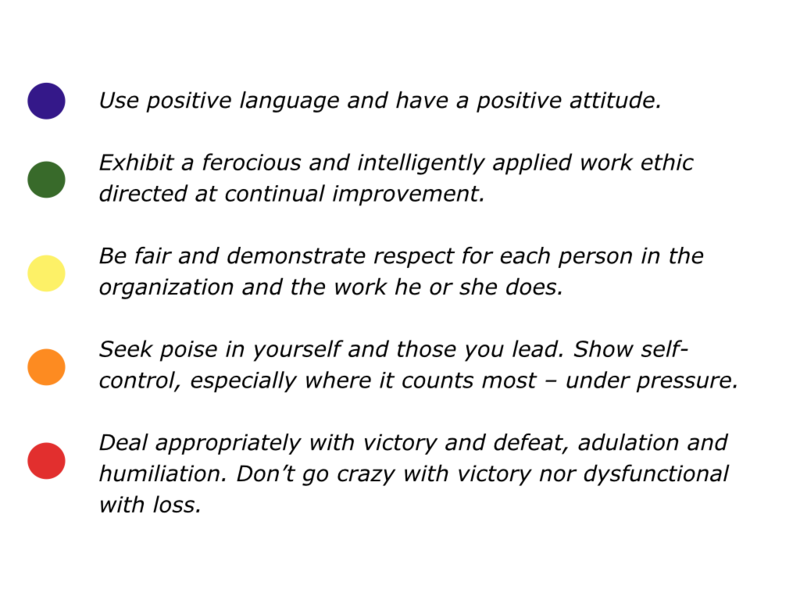 You need to be somebody who has readily observable principles and be seen to actually follow these in practice. People can then decide if they want to work for you or with you. Listen to your clients, provide outstanding service, train your people, look for and eliminate inefficiencies, and act like team players. “Act like a prostitute, with an attitude of ‘I’ll do it for the money, but don’t expect me to care,’ and you’ll lose the premium that excellence earns. 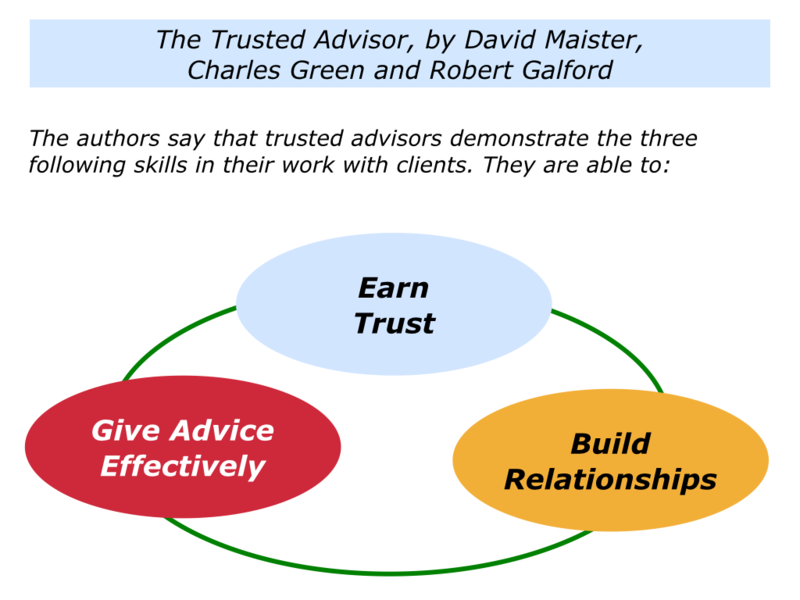 David then co-operated with Charles Green and Robert Galford to produce The Trusted Advisor. 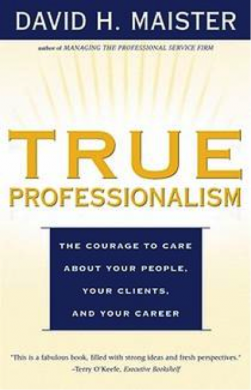 This book outlined the following guidelines for helping clients to succeed. 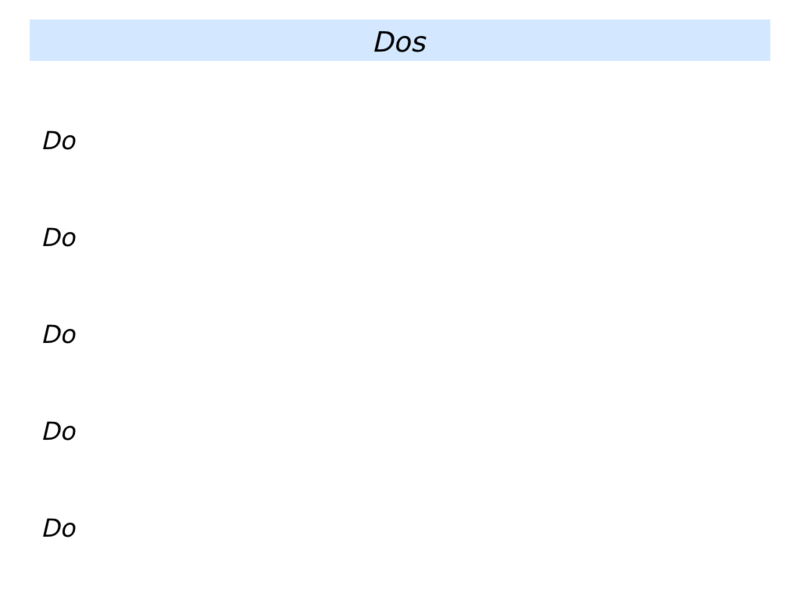 The specific times when people in the organisation have performed brilliantly. 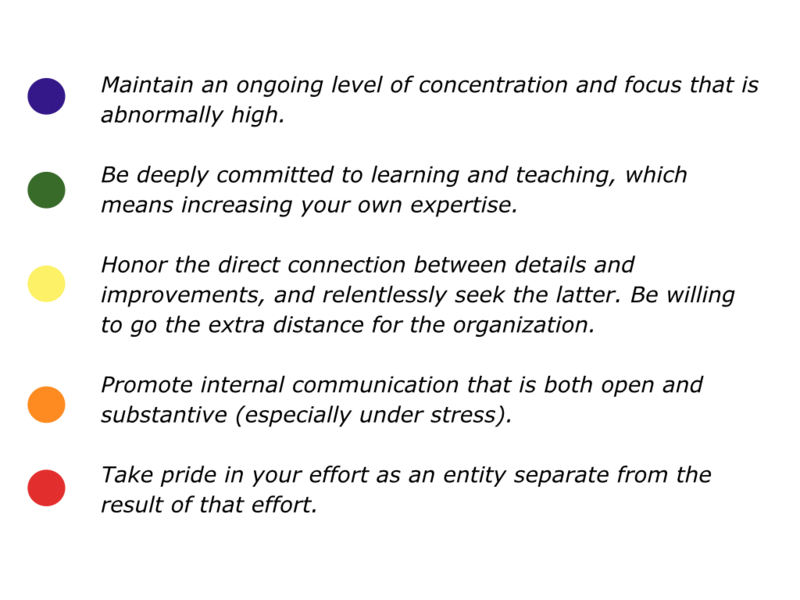 The specific principles that people followed to perform brilliantly. 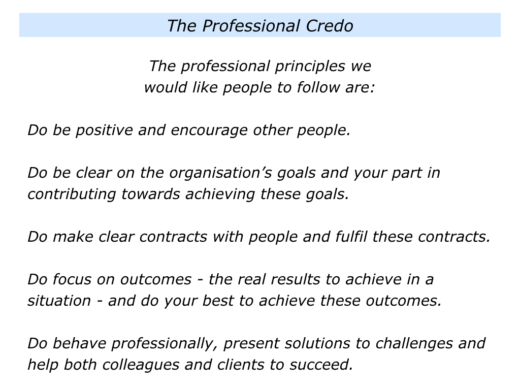 The specific professional standards that organisations must demonstrate to perform brilliantly in the future. To explain the organisation’s story, strategy and road to success. To explain the principles that people will need to follow to achieve the picture of success. 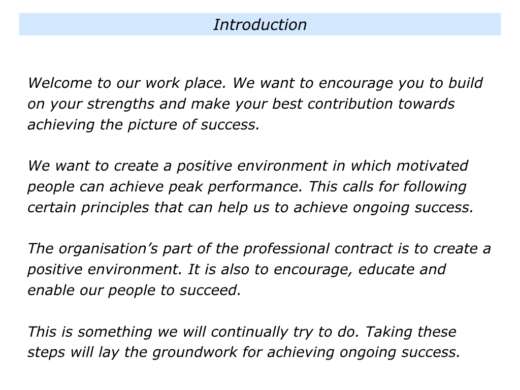 To explain that the professional standards that will be required to deliver the picture of success. Great leaders recognise what they can and can’t do for people. They can communicate a compelling story, strategy and road to success. They can also create an encouraging environment and give people the support they need to do the job. Such leaders employ people who are prepared to do the work required to achieve the picture of success. They therefore give people the chance to reflect. People can choose whether: a) They want to follow the principles; b) They don’t want to follow the principles. Each choice does, of course, have consequences. You will present the credo on your own way. 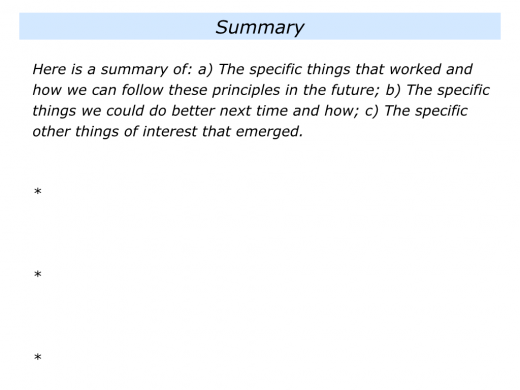 Here is a framework that it is possible to use, for example, when interviewing potential candidates, together with some possible wording. People can then decide if they want to contribute to the journey. The organisation’s role in helping people to work towards achieving the goals. The employee’s role in working towards achieving the goals. People can then decide if they want to contribute towards achieving the picture of success. Let’s assume you have communicated the credo. You can then give each team – and each person – the opportunity to show how they want to follow the principles in their areas. To present the specific things they will do to deliver the professional standards. To present, if appropriate, the support they would like to deliver the professional standards. 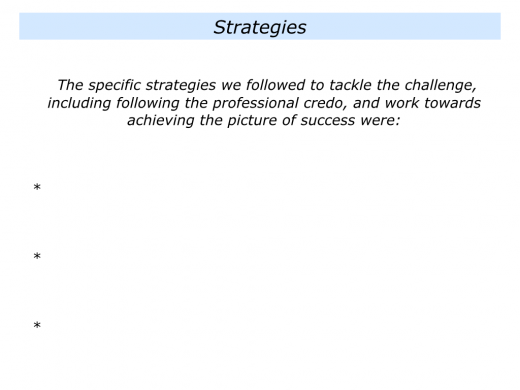 To present the quick successes they will produce to deliver the professional standards. This is similar to the approach that Bill Walsh took when taking over the American Football Team, the San Francisco 49ers. 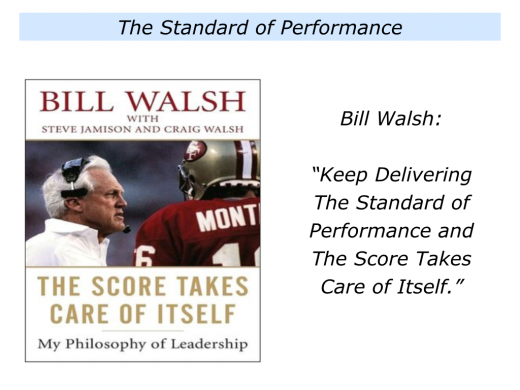 Bill believed it was vital for everybody in an organisation to deliver certain Standards of Performance. Providing they did this, he said, ‘The score takes care of itself’. Did it work? Bill encouraged people to focus on delivering the required standards, rather than on ‘winning’. It took two seasons – 1979 and 1980 – to turn around the ailing team. The 49ers then won the Super Bowl three times – in 1981, 1984 and 1988 – before Bill retired. Bill took over the team in 1979. Interviewed for the book The Score Takes Care of Itself, by Steve Jamison and Craig Walsh, he said that his aim was to create an environment of excellence. The first two years were difficult. He aimed to build a top-notch organisation, rather than one that was toxic. 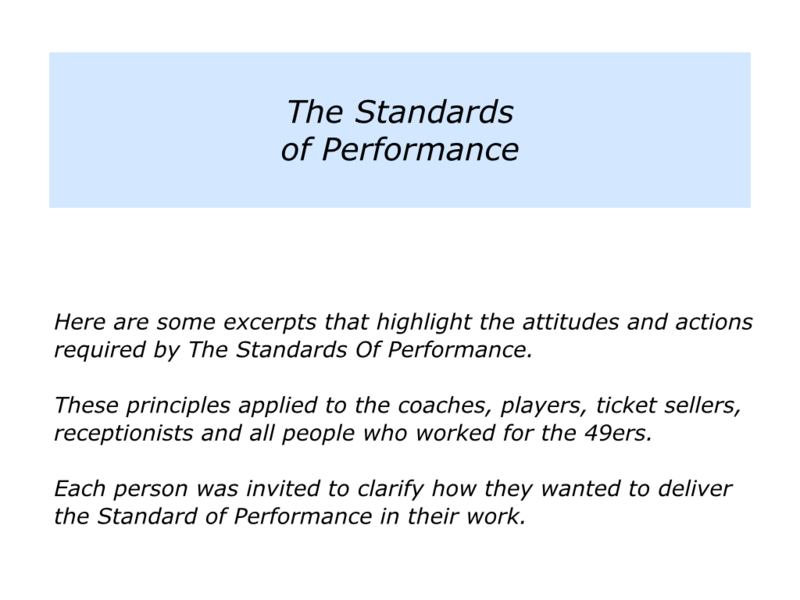 “I came to the San Francisco 49ers with an overriding priority and specific goal – to implement what I call the Standard of Performance. “It was a way of doing things, a leadership philosophy that has as much to do with core values, principles, and ideals as with blocking, tackling, and passing: more to do with the mental than with the physical. “While I prized preparation, planning, precision, and poise, I also knew that organizational ethics were crucial to ultimate on-going success. 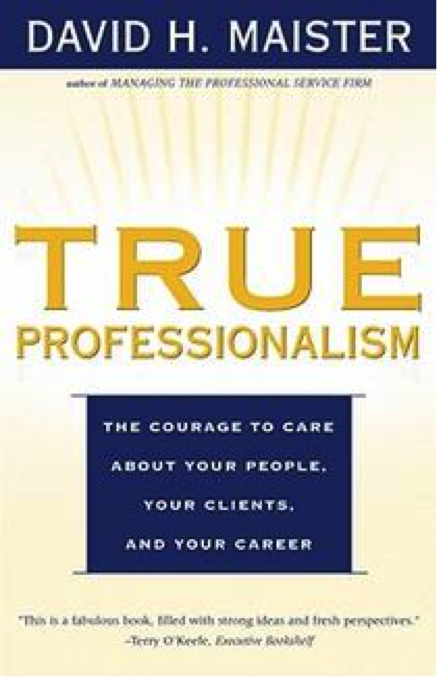 “It began with this fundamental leadership assertion: Regardless of your specific job, it is vital to our team that you do that job at the highest possible level in all its various aspects, both mental and physical (i.e., good talent with bad attitude equals bad talent). “There are also the basic characteristics of attitude and action – the new organizational ethos – I tried to teach our team, to put into our DNA. This called for commitment to details, such as people having a positive attitude, being prompt, showing good sportsmanship – no strutting, posturing or cheap shots, controlling of profanity, treating fans with respect and exhibiting a professional demeanour. Some people chose not to meet these standards. They were replaced by people who were prepared to deliver the goods. 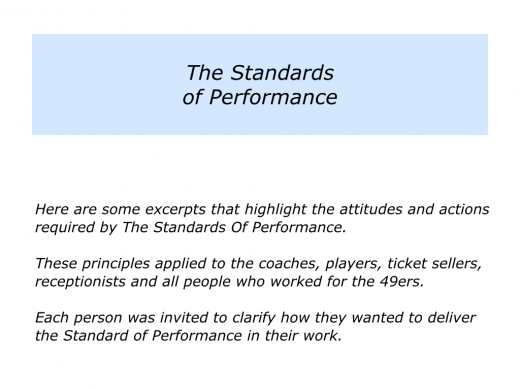 Here is an introduction to the Standard of Performance. You will obviously follow this approach in your own way. The key will be to encourage, educate and enable people to follow the standards. Great teams are made up of people who have similarity of spirit and diversity of strengths. They also have the right balance of consistency and creativity. Whilst certain standards are mandatory, you need characters, not clones. You can therefore, where appropriate, encourage people to focus on how they can express the standards in their way. 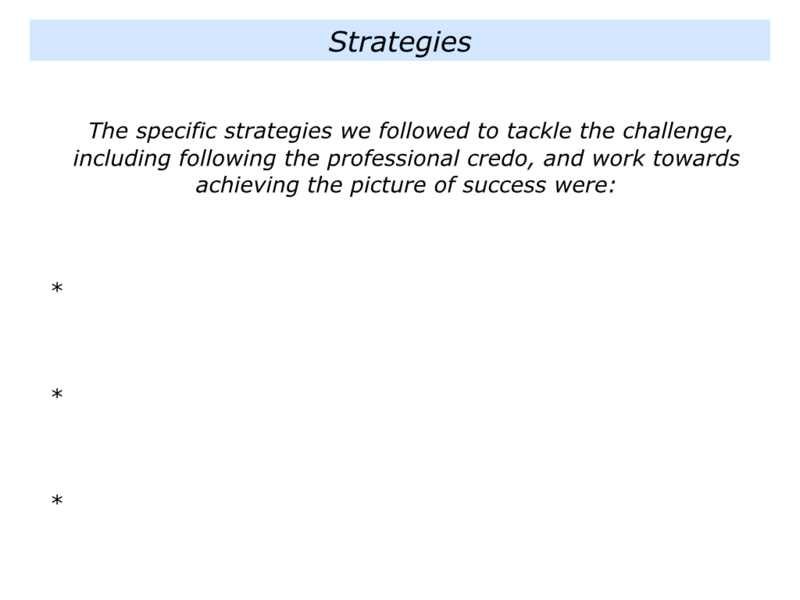 The key, however, is that they must contribute to achieving the organisation’s picture of success. “This approach sounds tough,” somebody may say. It is actually much tougher not to explain the standards, because then people are all over the place. 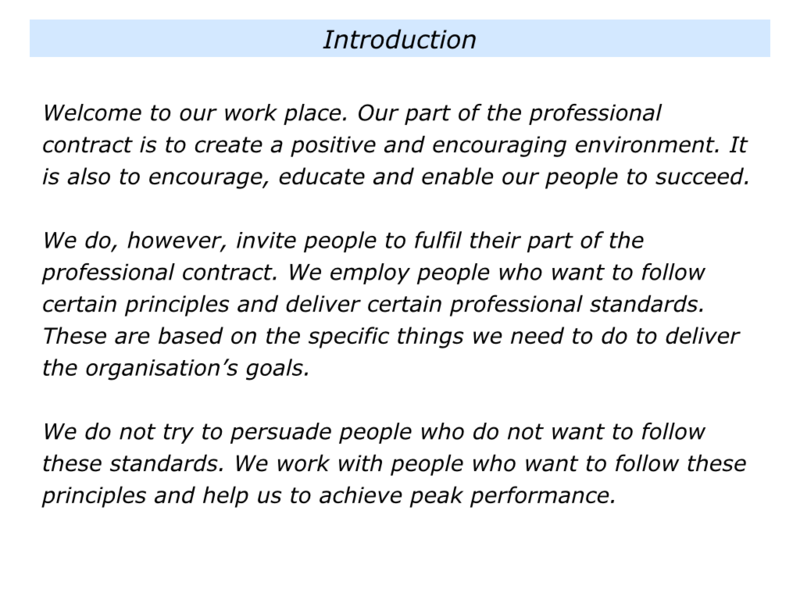 To explain the organisation’s purpose, principles and professional standards. To expect people to behave like adults, rather than like 12-year-olds, and expect them to understand. To encourage people to reflect and decide if they want to contribute towards achieving the goals. “Reward the behaviour you want repeated,’ is a key principle in building successful cultures. You will do this in your own way. But one approach is to keep publishing success stories about how the credo is being translated into action. This approach is more likely to work, however, if you appoint a mission holder. 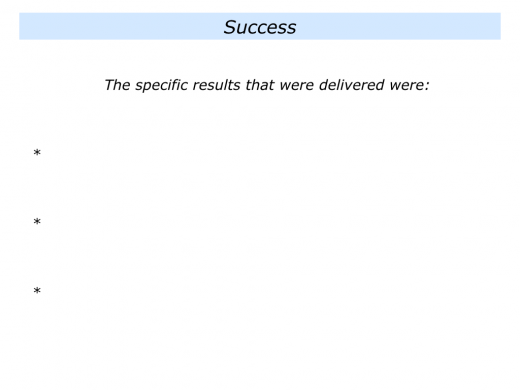 Make sure one person is in charge of ensuring the success stories are collected and published. You can set them the target of, for example, publicising four such stories each month. They will then be carrying out a key task in educating your people to deliver the professional standards. 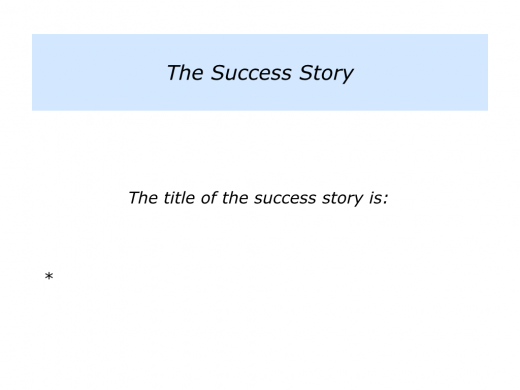 Different people use different frameworks for sharing success stories. The approach outlined below invites the writer to start by choosing a title for the story. They can then bring it to life by writing a compelling story, using video or employing other media. Great teams implement the right strategy with the right people in the right way. You will do this in your own way. One approach is to encourage, educate and enable people to follow a professional credo. Making this happen will provide a springboard for achieving ongoing success. Here is the framework for highlighting how people have following the credo and delivered success.